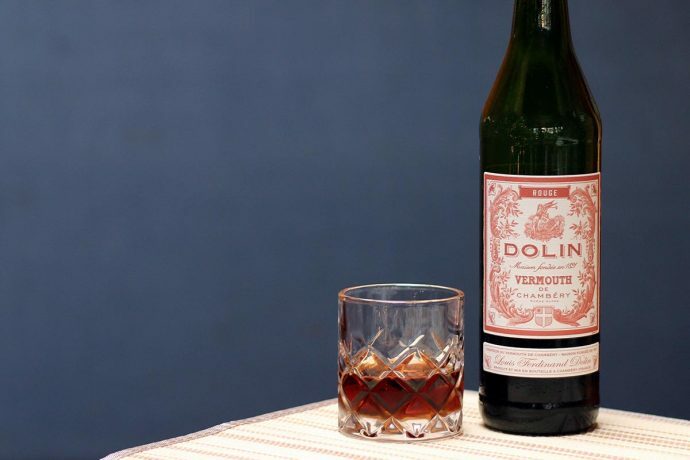 Dolin Rouge, a brand of sweet vermouth. Like so many other categories of booze, vermouth seems to get more complicated the more you try to get a handle on it. The basic distinctions are pretty straightforward: there’s sweet vermouth and dry vermouth, and the sweet goes in your Negroni while the dry goes in your Martini. But thanks to national pride, rabidly-defended appellations of origin, and seemingly endless regional styles, it’s never quite that simple. To help you figure out what’s what, we put together this guide to vermouth styles that delves a little deeper without getting too bogged down in the weeds. We’re sure vermouth experts will argue with some of our classifications (we’re used to it), but for the most part, this should help you keep the different products straight. Vermouth di Torino is a classic style of Italian vermouth that, as the name would imply, hails from the city of Turin. It has become something of a catch-all term for Italian sweet vermouths, the vast majority of which owe their existence to the original Carpano Antica Formula—considered by most to be the very first vermouth. Most of today’s Italian vermouth brands also produce other styles, like dry vermouth and vermouth bianco. While some of the products listed here are actually subcategories of vermouth di Torino (like Punt E Mes, which is considered a “vermouth con bitter”), we’ve consolidated them into one list for the sake of simplicity. As we said above, most Italian vermouth brands also make dry vermouth, despite the fact that it’s a French invention (we’ll get to that in a bit). These products deviate a bit from traditional French recipes, but most have been around long enough that they’re just as well known, if not more. Vermouth chinato is an interesting category, because it falls somewhere between the styles of vermouth and quinquina. For reference, quinquina is a type of fortified wine—like vermouth—that is flavored with cinchona bark (from which we get quinine, the bitter, antimalarial chemical used in tonic water). Vermouth chinato uses less cinchona than a quinquina, and otherwise sticks to a vermouth recipe. Dry vermouth was invented in France in the early 1800s by Joseph Noilly, and his brand, Noilly Prat (pronounced “nwah-yee praht”), has been a staple of the vermouth world ever since. From that original recipe grew two classic French styles: Marseilles dry, typified by Noilly Prat, and Chambéry dry, typified by Dolin. Numerous other dry vermouths have cropped up over the last two centuries, particularly in Italy, but the French got the ball rolling. In the same way that Italian brands developed dry vermouths, French brands also offer their own sweet vermouths. Once again, Noilly Prat and Dolin are the big names in this category. In northern Spain, vermouth is a big deal. It’s ubiquitous, relatively inexpensive, and commonly enjoyed as an apritif. The most popular brand is Yzaguirre (pronounced “eetz-ah-gee-ray”), and it’s also the easiest one to get here in the United States. They offer a fairly large range of products, including some “reserva” vermouths that undergo extended barrel aging. Vermouth blanc, vermouth bianco, and vermouth blanco are white (clear) sweet vermouths made in France, Italy, and Spain, respectively. Dolin Vermouth de Chambéry Blanc was the first in this category, and though they differ in flavor profile, all Italian and Spanish bianco vermouths were inspired by that recipe. Though the United States has long imported vermouth from Europe, domestic American vermouth is a relatively new phenomenon (well, at least good domestic American vermouth is). Most of these brands are hybrid styles, and don’t quite fit into any particular European tradition. In addition to all the classic styles of European vermouth, there are a number of products that reflect more contemporary tastes. Some of these vermouths are a bit experimental, and others simply blend elements of different styles. With the skyrocketing popularity of vermouth as a category, we can expect to see more and more novel products hit the market in the coming years.